Help raise $65K to offset instrument rental and/or transportation, financial assistance, luggage fees and snacks. Our GRAMMY Signature School GOLD award winning band and orchestra music programs have been invited to perform at the world famous Carnegie Hall!!! 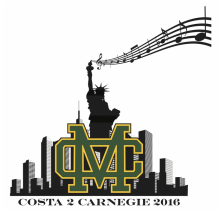 Two hundred sixty student musicians will be traveling to New York City for a solo concert on May 29th, 2016. Reduce installment for Carnegie contribution using Scrip. We look to business partners for some creative ways to benefit all. Use our online donation website to share our story and get support. Hear our musicians like you've never heard them before! 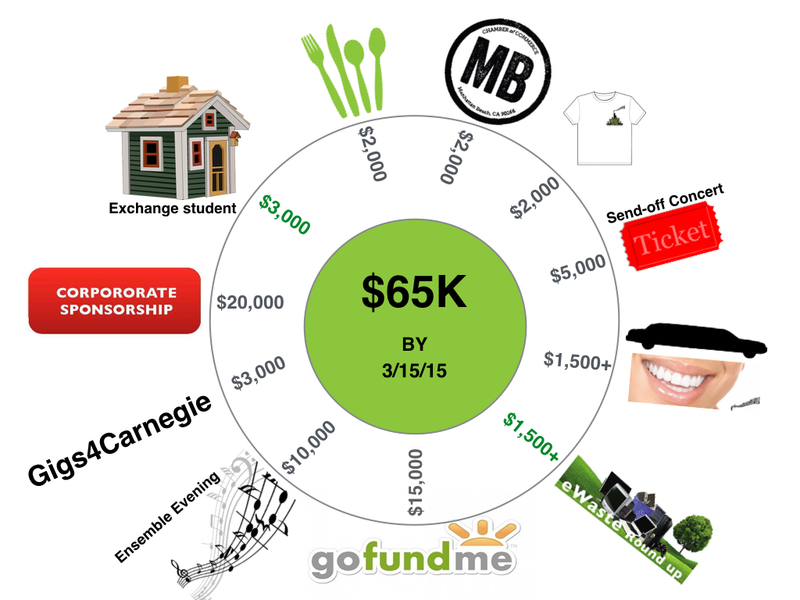 For a donation, our ensembles are available for hire for your event! ILS Limos is offering a 10% donation to our Costa2Carnegie fund! Students can help earn $ for their Carnegie Installment. Dine in any of the local restaurants and earn $ towards the fund.